A number of descendants of William óg (ie. ‘the younger’) de Burgh, younger brother of Walter de Burgh Earl of Ulster and Lord of Connacht, attained greater prominence in Connacht in the mid fourteenth century than those immediately descended from Earl Walter. The immediate descendants from Earl Walter included such branches as the Burkes of Castleconnell and others, for the most part established in Munster and also such lines as the McHubert Burkes about Isserkelly and McRedmond Burkes about Kilbeacanty in the later County Galway. While the branches of Castleconnell and others descended of the mainline of Earl Walter were the more senior in pedigree, two rival houses of Burkes descended from William og came to rule over much of the later Counties Mayo and Galway. 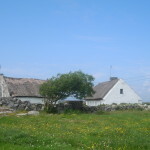 In the gaelicized Irish society following the decline of the Anglo-Norman colony in Ireland one of these houses provided the chieftains of much of Mayo and were known as the Clanwilliam (ie. family of William) and one provided the chieftains of the territory of Clanricarde, which covered a large part of central and eastern County Galway. The chieftain of the Mayo Burkes was known by the gaelic title of ‘MacWilliam Iochtar’ or Lower MacWilliam (Mayo lying in Northern Connacht) and the chieftain of the territory of Clanricarde became known as the ‘MacWilliam Uachter’ or MacWilliam Upper or alternatively ‘MacWilliam of Clanricarde.’ Representatives of these lines from the sixteenth century attained titles of rank and peerages more senior to those of the descendants of the original mainline. Both rival houses of Burkes, the chieftains of Clanricarde and the chieftains of Mayo, were descended of one man, Sir William liath de Burgh, who died in 1324, son of William óg de Burgh of Athanchip. 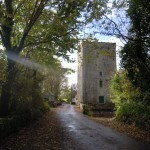 The MacWilliam Iochtar descended from Sir Edmund Albanach (‘the Scot’), fourth son but second surviving of Sir William liath, while the MacWilliam Uachter of Clanricarde descended from a younger son of Sir William liath. Both ruling houses throughout the late medieval period remained violently antagonistic towards one another. Arms of ‘Mac William Eughter de Maio,’ after tricked arms given in Harl. Ms. 5866, dated circa 1606. 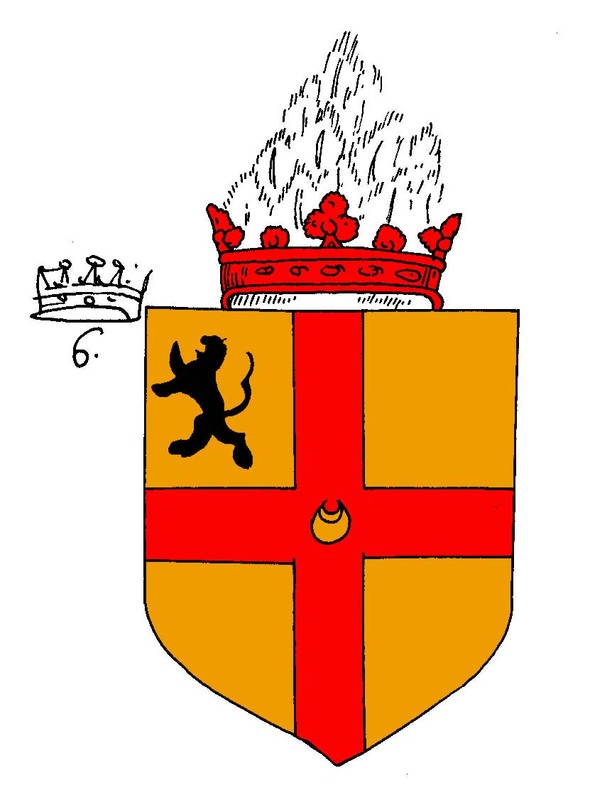 While the lion rampant did not occur in all records of the MacWilliam Iochtar arms, the hand as an element or ‘charge’ did. 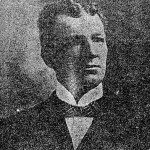 The defeat of O Connor and the removal of his hand was attributed to the elder brother; Richard mór. 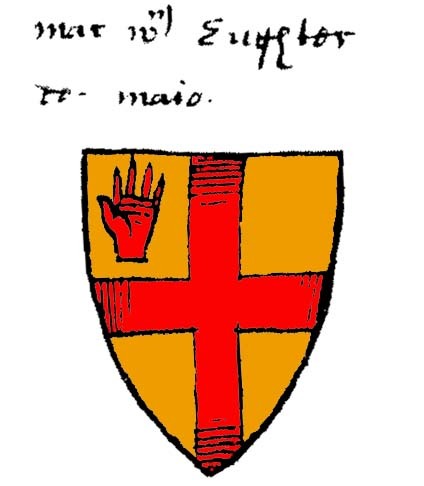 While it is uncertain if this is the origin of the heraldic charge, the hand appears in certain late sixteenth and early seventeenth century heraldic sources in the arms of the Clanwilliam Burkes of Mayo and those of Castleconnell, etc., and not in those borne by the Burkes of Clanricarde or the MacDavid Burkes of Glinsk. 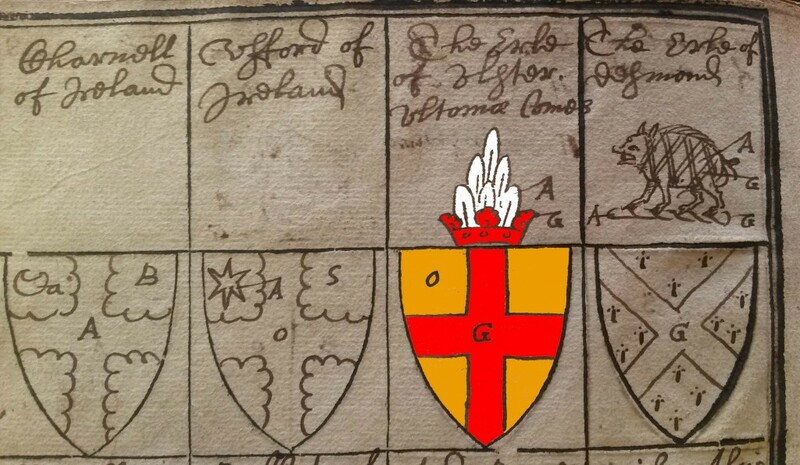 [x] This may be accounted for by the erroneous contemporary belief that the latter two were not derived from ‘Richard mór’ but ‘Richard óg.’[xi] As such the bearing of the hand in the heraldic arms associated the armiger in Gaelic Ireland with descent from the senior line from whom came the mainline of the Earls of Ulster and Lords of Connacht. It is noteworthy that Sir John Bourke’s ‘Genealogia et Historia familiae de Burgo’ included a claim that the territory of Clanricarde was rightfully the inheritance of the chieftain of the Mayo Burkes, on the mistaken grounds that the Burkes of Clanricarde were descended from the younger Richard. [xii] The contemporary pedigrees, showing a common line of descent through Richard mór between the mainline of the de Burgh Earls of Ulster and Lords of Connacht and the line from which the chieftain of the Burkes of Mayo descended, were used as evidence by the MacWilliam Iochtar of Mayo to assert his claim over Clanricarde. As the Mayo Burkes were closer to the line of the former Lords of Connacht, they claimed that Connacht was their rightful inheritance, both Mayo and southern Connacht, including Clanricarde. 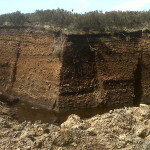 [xiii] Sir John Bourke’s genealogical tract gave as the residences of the MacWilliam Iochtar, Bally Loughmask, Kinlough and Ballinrobe in Mayo and included with those ‘Bally Loughrea,’ the seat of the Clanricardes at that time but MacWilliam Iochtar’s ‘when it is pleasing to God.’[xiv] The claim to their rival’s territory was aspirational only and used to inflate the status of the book’s patron. In relation to this parchment claim, it is also noteworthy that the head of the Burkes of Clanricarde bore only a lion rampant Sable as an additional charge to the Or a cross Gules as witnessed by its illustration on a map by John Goghe dated 1567. While it is conceivable that the hand charge was used by the MacWilliam Iochtar to denote descent from Richard mór, it is possible that the inclusion of the lion alongside that of the hand may also have been used by the MacWilliams Iochtar as a heraldic assertion of that same claim over Clanricarde. This, however, is uncertain as the Burkes of Castleconnell, who were also assumed to be descended from Richard mór and were later found bearing the hand charge in the upper dexter canton did not carry the lion in their arms. [xv] Although the most senior in line of descent from the Earls of Ulster and Lords of Connacht, their territory lay in Munster and were not in constant conflict with Clanricarde and are not recorded as stressing any notional claim to that territory. 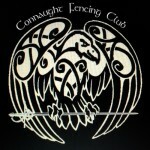 The crest borne by the earliest of the de Burghs in Ireland in the medieval period is not known with any certainty. While later Viscounts Bourke of Mayo would bear a crest other than that of the panache of feathers, H.T. Knox also noted that there existed a tradition among the MacDavid Burkes of Glinsk in North-East Galway that the crest borne by members of the MacDavid branch, consisting of a coronet and feathers, was the original crest of the de Burghs until a chained mountain cat was adopted by some at a later stage. [xxi] While this is uncertain, it is supported by a depiction of the arms of one of the early Earls of Clanricarde, dating from about 1603 showing a crest consisting of a ‘panache’ or pointed bunch of straight feathers Argent rising to a point from a coronet of rank Gules. [xxii] The de Burgh association with the panache and coronet is further supported by the depiction of the tricked arms of the de Burgh Earl of Ulster in a compilation of Irish arms made by William Smith Rouge Dragon Pursuivant circa 1613 in which the panache Argent rising from a coronet Gules appear as the Earl’s crest. A panache was not uncommon among early crests and it is noteworthy that a panache rising from a coronet occurred on the seal, dated circa 1400, of Edmund Mortimer, Earl of March and Ulster. Arms of Ulick Burke, Earl of Clanricard and Baron of Dunkellin, after tricked arms of Harl. Ms. 5885, dated circa 1603. Arms of the Earl of Ulster from N.L.I., Dublin, G.O. Ms. 58, a compilation of tricked Irish arms made by William Smith Rouge Dragon Pursuivant circa 1613. The arms are shown coloured for clarity. © National Library of Ireland. 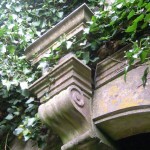 The first Viscount Mayo’s immediate descendants continued with the same arms, the eldest son Rt. Hon. Miles Viscount Bourke of Mayo inheriting the title. David Bourke, second son of the first Viscount married Mary, daughter of Nicholas Heward ‘sometime Chamberlain of the Exchequer’ by whom he had issue. This David was a merchant resident in County Dublin at his death in July 1630. His arms consisted of his paternal arms impaled with those of Heward but with a crescent at centre-point for difference to distinguish him heraldically as the second son. [xxiii] His funeral entry also appears in a second manuscript in the office of the Ulster King of Arms but without the crescent, the arms impaled with Heward in all likelihood regarded as being sufficient to identify the individual. His dexter supporter is on occasion described as a ‘harpy’ a mythological creature composed of the head and breasts of a woman and body and wings of an eagle or vulture-like bird. However, the exemplification of his arms and that of others of his immediate line clearly display this supporter as a sphinx, having the head of a woman, body, legs and tail of a lion and wings of an eagle-like bird. 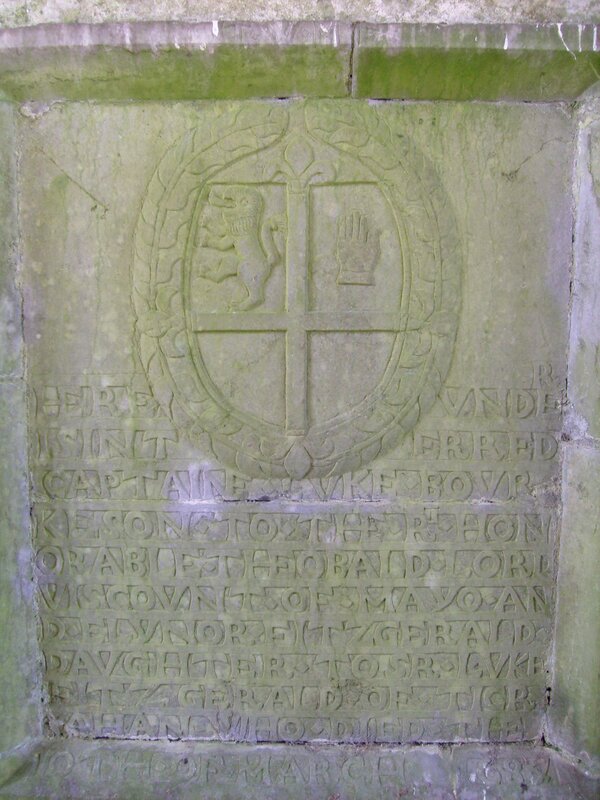 The arms of his brother Luke, who died in 1684, were erected without crest or motto within an oval shield and wreath on a tablet erected to his memory in the friary at Kilnalahan (ie. 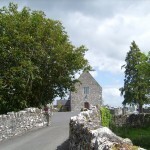 the modern village of Abbey) in South East Galway. Arms of ‘Captaine Luke Bourke, son to the Rt. Honorable Theobald Lord Viscount of Mayo’ at Kilnalahan Abbey. When a near relative of the last Viscount did not come forward to present a claim to the title, the Crown re-created the title for one John Bourke, claiming to be a distant kinsman of the last Viscount. This John Bourke had held for some time the office of First Commissioner of Revenue in Ireland and had been created Baron Naas of Naas in County Kildare in 1776. In 1781 he was created Viscount Bourke of Moneycrower in County Mayo. Four years later he was advanced to the title of Earl of Mayo. [vi] Ó Muirile, N. (ed. ), MacFirbhisigh, D., Leabhar Mór na nGenealach, The Great Book of Irish Genealogies, compiled (1645-66), Vol. III, Dublin, de Búrca, 2003, pp. 112-3. No. 798G.5; Knox, H.T., The de Burgo Tribes of Galway, J.G.A.H.S., Vol. 3, no. 1, 1903-4, p. 57. The Crest of Clann David; O Reilly, T., Historia et Genealogia familiae de Burgo, J.G.A.H.S., Vol. XIII, 1926-7, pp. 102, 129. [vii] Ó Muirile, N. (ed. ), MacFirbhisigh, D., Leabhar Mór na nGenealach, The Great Book of Irish Genealogies, compiled (1645-66), Vol. III, Dublin, de Búrca, 2003, pp. 104-5. No. F98C.1-C.3. [viii] Knox, H.T., The History of the County of Mayo to the close of the sixteenth century, Dublin, Hodges, Figgis & Co., Ltd., 1908, p. 352. Appendix V ‘Historia et Genealogia Familiae de Burgo’; Ó Muirile, N. (ed. ), MacFirbhisigh, D., Leabhar Mór na nGenealach, The Great Book of Irish Genealogies, compiled (1645-66), Vol. III, Dublin, de Búrca, 2003, pp. 104-5, 128-9, F798C.1-3, F808.1; O Reilly, T., Historia et Genealogia familiae de Burgo, J.G.A.H.S., Vol. XIII, 1926-7, p. 129. [xi] Pender, S., The O Clery Book of Genealogies: 23 D 17 (R.I.A. ), Analecta Hibernica, No. 18, 1951, p. 194, No. 2327. While MacFirbisigh gave MacDavid Burke as descended from either Richard Mór or Richard óg, O Clery gives that chieftain descended from Richard óg, son of the first William in Ireland. [xii] O Reilly, T., Historia et Genealogia familiae de Burgo, J.G.A.H.S., Vol. XIII, 1926-7, pp. 105, 129. While the ‘Historia et Genealogia familiae de Burgo’ states at one location that ‘Richard, the Second, MacWilliam of Clann Rickard’ was the second son of Richard Mor, and for that reason, as the Clanricarde Burkes were supposed to be descended from this second Richard, the territory of Clanricarde was rightfully the inheritance of the MacWilliam Iochtar, this appears to be a confusion of the name as elsewhere in the same tract Richard Mor is given only two sons; Walter first Earl of Ulster and William og, ancestor of the MacWilliam Iochtar and the ‘second Richard’ was given as the younger brother of Richard Mor. This last account corresponds with MacFirbisigh’s principal pedigrees at 798C1-3 and 808.1 and the claim by the Mayo Burkes that the Clanricarde Burkes descended of a line separate from the line of Richard Mor and the lordship of Connacht. 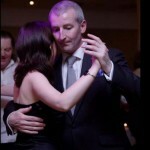 [xv] N.L.I., Dublin, G.O. Ms. 35 p.29. [xvi] J. Lodge, M. Archdall, The Peerage of Ireland, or, a genealogical history of the present nobility of that kingdom, with engravings of their paternal coats of arms, James Moore, Dublin, 1789, Vol. IV, p.236. [xvii] J. Lodge, M. Archdall, The Peerage of Ireland, or, a genealogical history of the present nobility of that kingdom, with engravings of their paternal coats of arms, James Moore, Dublin, 1789, Vol. IV, p.236-7. [xviii] J. Lodge, M. Archdall, The Peerage of Ireland, or, a genealogical history of the present nobility of that kingdom, with engravings of their paternal coats of arms, James Moore, Dublin, 1789, Vol. IV, p.236. [xix] N.L.I. Dublin, G.O. Ms. 68 Funeral Entries, p. 147. The children of the first viscount were given in his funeral entry as Rt. Hon. Miles Viscount Bourke, David, Theobald, Richard, Mary, Onora and Margaret. He was buried at Ballintubber, County Mayo. [xxiii] N.L.I. Dublin, G.O. Ms. 68 Funeral Entries, p. 147. Also given, but without the crescent, and with the lion and dexter hand Sable in N.L.I. Dublin, G.O. Ms. 79, p.159 (entry no. 501). [xxiv] N.L.I. Dublin, G.O. Ms. 183 Lord’s Entries, p. 31. He was buried at Ballintubber. [xxv] N.L.I. Dublin, G.O. Ms. 183 Lord’s Entries, p. 127. 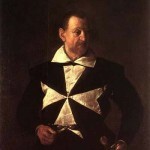 He carried the same supporters and motto as the 5th Viscount. [xxvi] J. Lodge, M. Archdall, The Peerage of Ireland, or, a genealogical history of the present nobility of that kingdom, with engravings of their paternal coats of arms, James Moore, Dublin, 1789, Vol. IV, p.248. [xxvii] J. Lodge, M. Archdall, The Peerage of Ireland, or, a genealogical history of the present nobility of that kingdom, with engravings of their paternal coats of arms, James Moore, Dublin, 1789, Vol. IV, p.249. [xxviii] Collen, G.W., Debretts Peerage of Great Britain and Ireland, William Pickering, London, 1840, pp. 498-9.